Allergen Statements / Claims No milk, No eggs, No fish, No crustaceans, No tree nuts, No wheat, No peanuts, No soybeans, No gluten. Other Ingredients Gamma cyclodextrin, hypromellose, magnesium stearate and silicon dioxide. Brand Intellectual Property (IP) Statement Information Health Thru Nutrition is a registered trademark of EPIC. 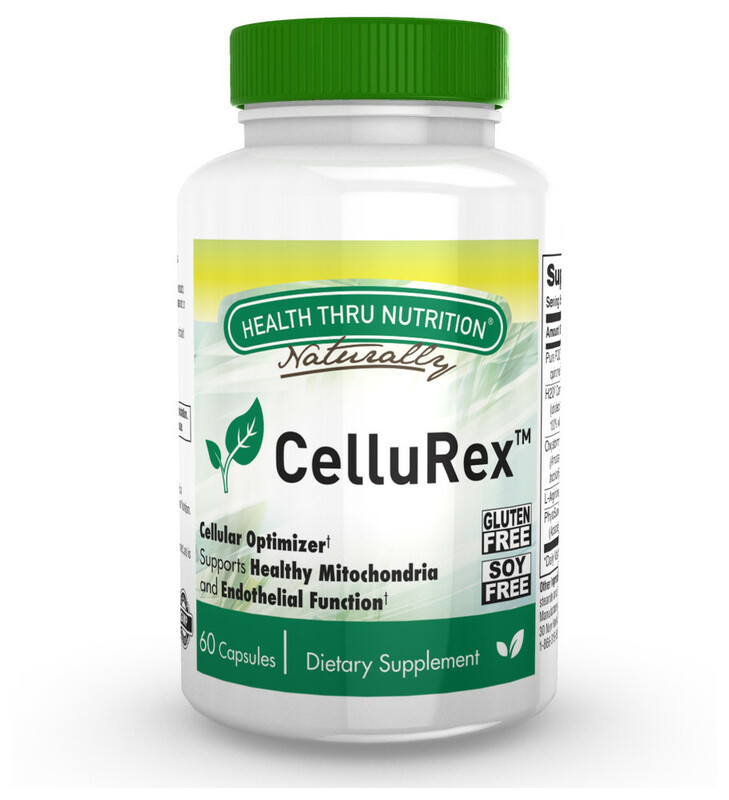 CelluRex is a trademark of Health Thru Nutrition. H2Q is aregistered trademark of Health Thru Nutrition. HydroQsorb is a registered trademark of Tishcon Corp. PureQQ is a trademark of Nascent Health Sciences. PhytoSure is a certification mark of CAS BioSciences, LLC, all rights reserved, and is assurance of the strictest quality standards. Oxystorm is a registered trademark of Arjuna Natural extracts, Ltd.